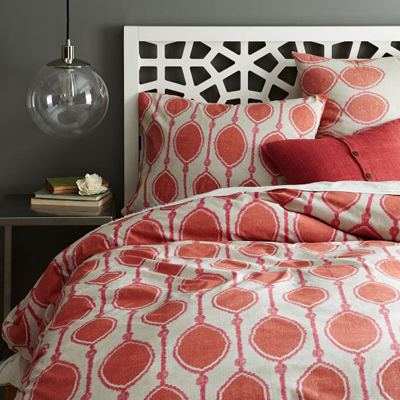 Make a mod statement with the Organic Bead Print Duvet Cover + Shams. Screen printed on pure organic cotton, its pattern of linked ovals rendered in a striking shade is sure to brighten up any bedroom. $24-$119. Buy here.